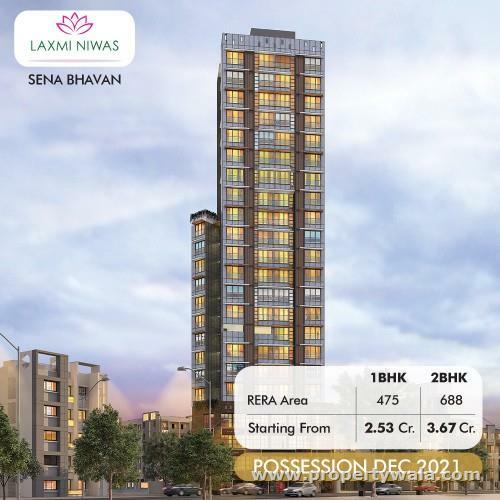 Sugee Laxmi Niwas Apartments in Mumbai offers you skillfully designed 1 & 2 Bhk with well equipped with all the amenities to facilitate the needs of the residents. Sugee Laxmi Niwas in Dadar East,These Residential Apartments in Mumbai offers you skillfully designed 1 & 2 Bhk apartments of different sizes. The project is well equipped with all the amenities to facilitate the needs of the residents. Sugee Laxmi Niwas offers facilities such as Power back-up and Lift. It is a Gated society. Presence of 24x7 security gives an assurance for a safe and secure environment. It also offers Car parking. Sugee Group is a well-known real estate developer in Mumbai. The group has developed luxurious residential buildings and bungalows in the city. It is recognized as one of the most trustworthy developer that works on the philosophies of trust and honesty. Further, it aims to maintain an ever-lasting relationship with the customers by being transparent in its policies. Have a good knowledge of Sugee Laxmi Niwas? Share it and become a Project expert.